In my last entry I wrote about going back to work. I also made brief reference to having a need for some kind of productive activity if I wasn’t. One of my regular readers made a comment that spoke directly to something really important. The need for purposeful activity. Not necessarily work – but activity that is goal directed and meaningful to you. Activity in which you are setting out to achieve something that you are interested in achieving. It doesn’t need to be paid activity, but it needs to provide you with a sense of purpose and achievement. This reader suggested that – but for the expense of living, she would not even care so much about paid work as long as she had purposeful activity. I have to say that I agree. Sound odd? It’s one of the biggest problems people have when they retire. Not having planned for their need for purposeful activity. The thing is – people have an innate need to do something. Preferably something they value and something that is purposeful. All you have to listen to one of the things that we complain about. Of course for many there are possibly crossover elements of situational depression, however it is interesting to note that the lack of purposeful activity can have such a strong effect. A study that I heard presented followed up some people some of whom pursued work – some full-time, some part-time; some of whom pursued volunteering. The outcome – purposeful activity made an enormous difference to quality of life. But other studies show that it does not even need to be work related. Simply valued and purposeful – and it will improve quality of life and wellness. Take up gardening. Build a doll house for a kid. Join a gym or walk somewhere every day. Volunteer at a local charity, Church or club. Write a book. Go to a local community centre and check out the programme. Do a course on something that interests you. Join a book club. Start meeting a friend for coffee regularly. Take up cooking. Invite a friend over for dinner. Try that sport you always wanted to try – talk a friend or family member into coming with you if you like. See if you can find some old friends you’ve lost contact with – you might be surprised how many want to catch up. Try that hobby you always wanted to take up. 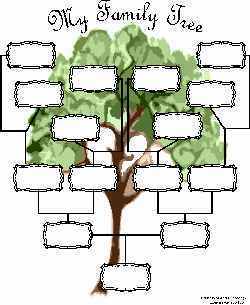 Research your genealogy. Purposeful activity. This is what forms the building blocks. This is where a healthy routine can be built. This is where a healing routine can be built. Research says it works. My training says it works. My observations of the people I have worked with as a mental health worker say that it works. My experience of healing says it works.